A potential student who aspires to secure a driving license (Class D for cars) or a license to ride a motorcycle (Class B2) has first of all to sit for a Highway Code computer paper or in Bahasa Malaysia, the “Kod Undang-undang Jalanraya”. To be able to get through the above examination, a person has to be rather adept or well versed with the workings of a computer. Although, nowadays, most candidates are quite familiar with how a computer functions, nevertheless, don’t be surprised that there are some candidates, especially the older ones, who have little or no knowledge about computers at all. They are therefore, not able to sit for this 50 questions computer paper and so must opt for other avenues. Besides having a good, working knowledge about computers, a potential driving student should also be to comprehend either the English Language or Bahasa Malaysia well. What happens if a candidate is ignorant about computers and does not know both the English Language or Bahasa Malaysia? Does that mean that’s the end of the road for such candidates? Do not despair! 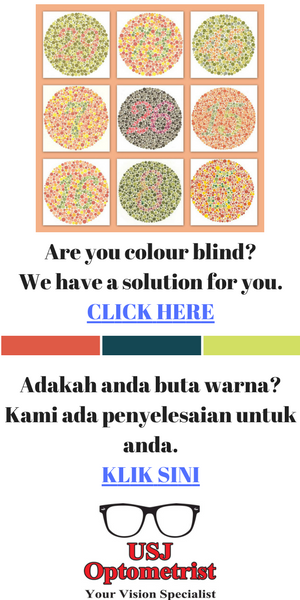 As a matter of fact, the Jabatan Pengangkutan Jalan (JPJ) or Road Transport Department does conduct special oral tests for computer illiterate students, orang asli and those who are uneducated. The above group of people should ideally seek the services of reliable instructors, who have to keep an eye on the schedule for such oral tests that are organized by the Road Transport Department, from time to time. The above oral tests are mostly conducted at obscure towns in Malaysia, such as Batu Laut, orang asli settlements, for example at Jerantut and so forth. Today’s article is not intended to discuss the destinations of where the oral tests are held, but rather, to address the problem of why many students fail in their Highway Code paper or “Undang-undang Jalanraya” paper. Believe me or not, even good students from institutions all across the country have failed the above test a few times over. My elder brother, B.H. Yap who once worked in a well known legal concern, informs me that there are cases of lawyers and solicitors who have failed in the Highway Code test. Mind you, the above persons have already passed their law exams. Many infact have their LLB degrees. But surprisingly, they have unable to pass this simple, but confusing exam on the Highway Code. For readers’ information, a former driving student of mine, who hailed from a well known secondary school in town, the High School, Klang, once failed a total of 5 times, before finally succeeding in passing the Highway Code test eventually. Not too long ago, 2 of my own students, failed their undang tests. One by two marks, achieving (40/50) and one by one mark (41/50). The passing mark for the Highway Code is 42! 1) They have failed to prepare well for this examination. In short, such students under estimate the Highway Code paper. 2) Most students, especially the ladies, seem to neglect Section C, which in reality has 10 questions altogether. It is pertinent to inform readers that this section which as I said has approximately 10 questions, has to be done well. A student should be able to achieve good results in this section. A failure to do so will certainly cause a student to fail. Therefore students are hereby advised not to get more than 4 questions wrong in this important section of the Highway Code paper. i. Demerit points, in reality award motorists with points which ranges from 5 to 15. “P” drivers and those with CDL (Competent Driver’s License) will have their driving licenses withdrawn should they achieve 10 or 15 points. Learn this “topic” well if you intend to get through the Highway Code exam paper. There is no short cut way to it. If you want to own a driving or riding license, you’ll have to “slog” for it. ii. The Road Transport Act 1987. Without a doubt, Section C will ask you a few questions regarding this important Act. For example, “driving dangerously and with undue care” goes against Section 41(1) of the R.T.O. 1987. Section 43, R.T.O 1987 is destruction of private property. Should you be a youngster and you fancy to perform stunts on your motorcycle with your group of friends, you will be slapped with Section 81 of this infamous Act. You can be slapped with a RM2000 fine and your license can be suspended. Your vehicle can also be confiscated by the authorities. Section 44 and 45 of the R.T.O. 1987 deals with “drunken driving” and drugs consumption. Heavy penalties are imposed upon drivers who commit these offences. The R.T.O. 1987 Act is as important as the “Koran” is to Muslims or the “Bible” to Christians. While good Muslims and Christians should know their holy books well, likewise a good driver should ideally know the Road Transport Act 1987 like the back of their hands if they envisage to be good and competent drivers on the road. You will now understand why you cannot be given a license to drive if you do not know much about the R.T.O. Act. iii. Having a good working knowledge regarding motorcycles. A student just 17 or 18 years old, or a housewife or even a female student who enrolls with either a driving school or institute, to attain a Class D driving license for cars, has no interest at all for information pertaining to motorcycles. As such, students mentioned above tend to neglect completely the topic on motorcycles. This is where most students fail in their Highway Code paper. Section C has, believe it or not, anything from 4-5 questions on motorcycles. Any candidate who is unable to answer the 4-5 questions on motorcycles, is not going to be able to pass the Highway Code paper. i. Class “C” motorcycle licenses are for 3 wheeled motorbikes or “carriage” motorcycles. ii. Motorcycle riders have to put on their “front” and “rear” lights, both during the day as well as the night. iii. Class B2 license are for bikes (below 250c.c.). B1 is for bikes 251c.c. to 500c.c. B full are licenses of motorbikes 501c.c. and above. iv. “Half helmets” are banned in Malaysia. v. Students who aspire to get a motorcycle license should attain the age of 16 years. vi. Riders with “L” license are disallowed from carrying pillion riders. vii. It is compulsory for a motorcycle to possess both the “handle bar” mirrors. A motorcyclist not in possession of both of the above mentioned mirrors has committed an offence. viii. Wearing a helmet without tying or fastening its strap properly, represents an offence. ix. An “L” license allows a rider to learn how to ride a motorcycle himself, without an instructor sitting pillion behind him. x. “Illegal” racing or “merempit” motor goes against Section 81 of the R.T.O. 1987. It’s a RM2000 fine. The above important facts about motorcycles are but some of the things a potential student should know about. Hopefully, they will go a long way to assist you to pass the Highway Code with flying colours. Achieving 41 or 40 marks represents a Failure. 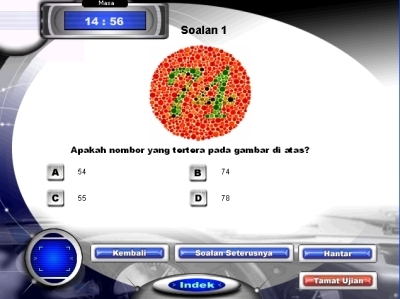 Most driving schools and institutes charge some RM50 each time they send you for a computer test. It’s not only costly. It’s a big hassle and time wasting procedure at the computer testing centres. Think about this carefully. Make an honest attempt to study this section well and make sure you do not commit more than 2 mistakes in Section C. If you do, unfortunately you must be amongst the students who have made a blunder in the Highway Code paper. Best of luck! And hopefully, you’ll succeed! I’m an Australian Citizen i hold an Australian Drivers Licence and i come to Malaysia very often as i have family members living here. When ever i drive in Malaysia i use my Australian driving licence and when i got pull over i never had any dramas regarding my driving licence. But recently i came across this arrogant cocky police officer who issued me a saman because he believed my licence can’t be used in malaysia. I know its legal to drive in malaysia using my Australian driving licence as i had read it on the malaysia driving school law booklet that its legal as long its for temporary. Can you please confirm this thanks. Unfortunately, some officers are ignorant of international rules and regulations Malaysia follows. In such cases, you’ll have no choice but attend court and let the Magistrate decide. I am a foreigner living in Malaysia and I have applied for Malaysian driving license recently. I have been provided with an English booklet about Highway Code and I am going to do the computer test very soon. I just want to confirm that especially for the foreigners who cannot speak BM, do they hold the computer test in English? I will be very grateful if you would reply at your earliest convenience. Computer tests available in English.